In late 1761 or early 1762 Henry was invited to Offley Place by Hester's uncle, Judge Sir Thomas Salusbury and was introduced to Hester Lynch Salusbury. Sir Thomas proposed their marriage whilst her father, John Salusbury, was away in Ireland with George Montagu-Dunk, 2nd Earl of Halifax, President of the Board of Trade. This was agreed by Hester's mother after Sir Thomas promised to make a settlement of five thousand pounds1 in favour of Hester should they be wed. Although Hester thought Henry to be "nearly the handsomest man in England", she did not want to marry him. Hester appealed to her father upon his return. John Salusbury had no intention of marrying his daughter to Henry Thrale, whose father and grandfather2 had lived in the cottage now being used by his younger brother, Sir Thomas Salusbury, as a dog kennel. John Salusbury quarrelled with his brother Sir Thomas and took his wife and daughter to London. Shortly afterwards, Hester wrote verses in lament at leaving Offley. 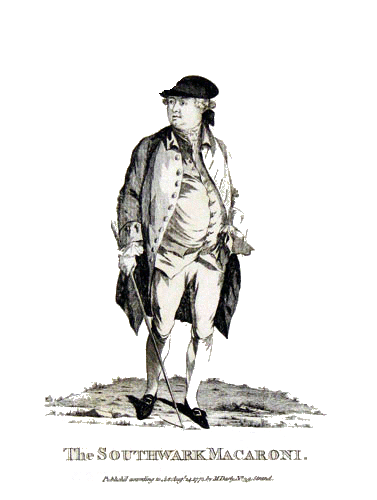 On 18 December 1762 John Salusbury died suddenly. He left the North Wales Bach-y-graig estate to his wife, and five thousand pounds to Hester. Hester later suggested that his death was hastened by irritation at her proposed marriage and Sir Thomas's intention to remarry, as this ultimately resulted in Hester being disinherited from Offley Place. After Salusbury's death, Henry Thrale wrote to Hester and her mother, on 28 June 1763 asking to call on them both. They accepted and he proposed marriage. 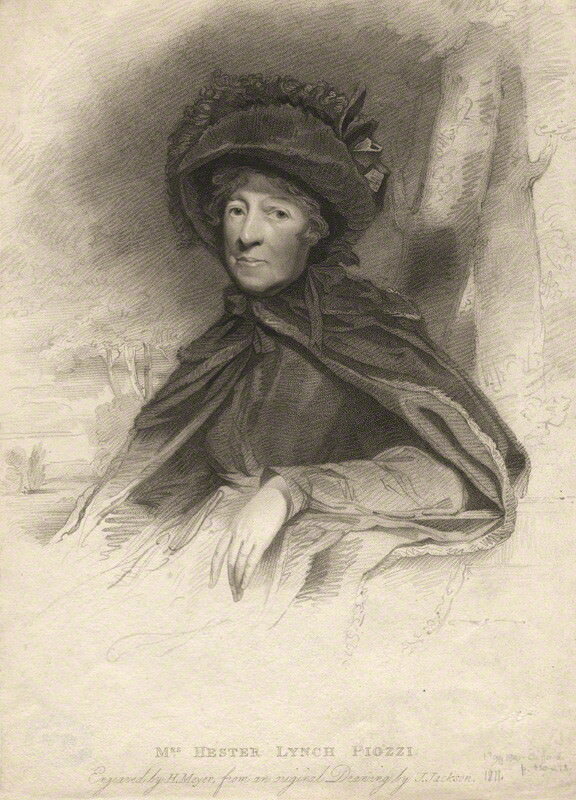 On 9 October 1763, Henry Thrale met with Sir Thomas Salusbury and they agreed Hester Lynch Salusbury's dowry. 1. Today, equivalent to about half a million pounds sterling or one million US dollars. 2. Ralph Thrale of Sandridge 1665 - 1711.